Due to a number of factors, including longer life expectancy and dwindling retirement benefits, fully retiring from the workforce at 50 or 60 just isn’t realistic for most people. In fact, according to the National Institute on Aging, 70% of men and 60% of women are actively working in their 50’s. And once they hit their 60’s, nearly half those people are still working. While commuting to an office and putting 8 hours in at your desk used to be your only option for making an income, advancements in technology have made it possible to work from anywhere with an internet connection. And this is opening up a whole new world of telecommuting possibilities and additional income streams for 50+ retirees. If you have a background as an administrative assistant or in supporting a busy executive, you may want to explore a telecommuting career as a virtual assistant. As more of the top companies in the country are moving to remote work, the need for top-notch assistants is growing. In 2015 Upwork found that “virtual assistant” was their 12th most in-demand skill. It was also the highest ranking role on the list that required little or no specialized training. If you’re extremely organized, personable and are excited by the challenges of supporting an executive and managing the day-to-day operations of a business, then a role as a virtual assistant could be a great telecommuting job for you. Every business needs content. Whether it’s in the form of copy for their website, emails, social media or internal communications, in order for a business to run, there needs to be a person who’s translating their ideas and objectives into words. And that person is the content writer. Content writing positions are among the most flexible in the telecommuting space, often allowing people to work their own schedule (as long as they’re able to hit their deadlines). Content writing is a great telecommuting job option for retirees with a way with words; your background and the experience you bring to the table will translate in your copy and add an air of credibility that companies often can’t find in a younger writer. If you love people (and consider yourself to be extremely patient), then a telecommuting career as a customer service representative might be ideal. There’s never a shortage of CSR positions; a recent search on Indeed for “Remote Customer Service Representative” yielded over 3400 results. People who succeed in customer service roles tend to be upbeat, positive and are able to diffuse potentially confrontational situations with ease. Most major companies (including American Airlines, IBM and Nieman Marcus) employ telecommuting CSRs, so if there’s a company you’re particularly interested in, chances are you can find part time telecommuting work in their customer service department. While the first image to come to mind when you hear the word “receptionist” is a person sitting at the front of an office greeting customers and clients as they arrive, the receptionist role is changing. As more companies are moving their operations 100% online, there’s no longer a physical desk for their receptionist to greet guests. But they still need someone to answer their calls and be the “face” of the company to their clients and customers. If you have a great phone demeanor and don’t mind routing calls to multiple executives on a team, then a telecommuting receptionist role could be a rewarding choice. Chances are, over the course of your schooling and career you picked up some valuable insights. And those insights will be considered highly valuable to a younger generation trying to follow in your footsteps. Virtual tutoring can be a great way to share the things that you’ve learned to help younger people excel in their academic and career pursuits. While there are potential tutoring students in every field of work and study, it’s best to keep your tutoring activities to subjects where you specialize; that way, you’ll have minimal prep work and can deliver a high level of value to your students. Another area where there’s a lot of opportunity for retirees looking to telecommute is research. Companies need research for literally every area under their business umbrella: customer research, competitor research, scientific research, data research… the list goes on and on. No matter what stage a business is in – whether it’s in the pre-launch stage or well established and successful – they’ll need research completed to propel them to the next stage of success. And many companies are almost exclusively hiring freelance research talent to contribute to their projects. If you consider yourself highly organized and structured and know how to filter information in a way that’s easy to understand, then taking on telecommuting research work could be a great way to work AND learn in your retirement. While many companies have in house accounting teams, they also need someone to manage the books. 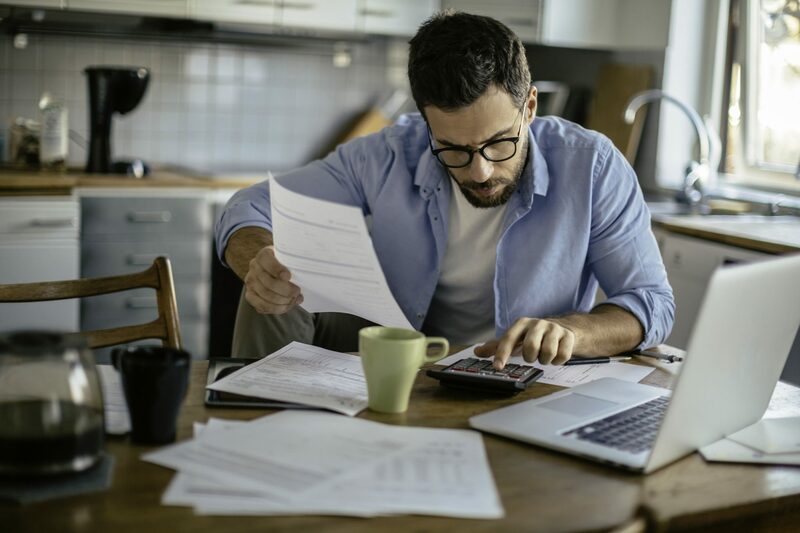 Bookkeepers are in high demand, and if you have a background in finance there are many telecommuting bookkeeping opportunities that could be a great next step in your career. Keep in mind that there are specific programs that you’ll need to be proficient in in order to successfully secure a telecommuting bookkeeping position, specifically Quickbooks and Quicken. If you’re unfamiliar with these programs, watch a few YouTube tutorials or invest in a course to get you up to speed before beginning the application process. If you left behind a job in sales and are itching to get back in the game, then you might want to think about enjoying a second career in the telecommuting space as a business development specialist. A business development specialist’s responsibilities will vary from company to company, but the role will always be directly contributing to sales. This could be identifying and sourcing leads, setting appointments or managing sales calls and closing new customers. Whatever the responsibilities, being actively involved in sales has the potential to be both exciting and lucrative. Many companies pay out commissions to their sales force when they bring in new business, which can significantly increase your revenue and make your retirement telecommuting job a financial win. 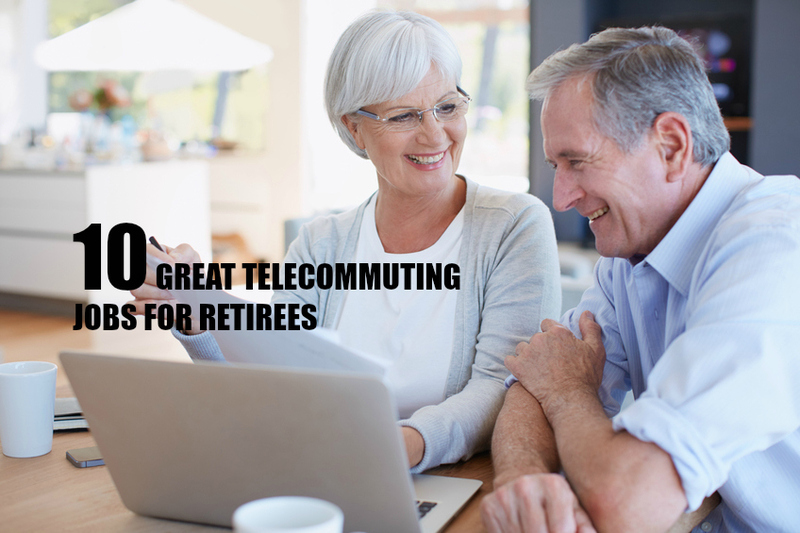 One of the most rewarding telecommuting jobs you can pursue in your retirement is that of a consultant. According to Study.com, a consultant is “paid to share their expertise and knowledge to help businesses attain goals and solve problems”. A consulting gig is the perfect opportunity to leverage your years of work experience to add value and offer innovative solutions to companies. As a consultant, you can easily work from home and communicate with your clients via Skype or other tools to make sure they’re hitting your objectives and moving in the right direction. Consulting is a fantastic opportunity to continue to engage in the industry you dedicated a large portion of your life to while still having the flexibility and freedom to enjoy your retirement. Before you start applying for telecommuting jobs, it’s important to get clear on exactly what you want. Are you open to working a set schedule or are you looking for flexible hours? Do you want to work 10 hours a week or 35 hours a week? Having clarity on the type of role and working situation you’re looking for will save you a lot of time when it comes to applying for jobs. When applying for telecommuting jobs, you want to make sure that your resume is up-to-date, polished and an accurate representation of your career. If it’s been awhile since you’ve looked over your resume, you might want to think about having it reviewed by a resume writer – which is also, coincidentally, an extremely popular telecommuting job. When hiring remote candidates, companies want to know that they’ll be able to handle the technology required to work from home. Somewhere on your application or in your resume, highlight your experience with technology and list any relevant programs or systems you’ve mastered. Telecommuting jobs become available all the time, and often times there will be hundreds of applicants per position. That’s why it’s important to check job boards like TelecommuteJobs frequently; applying for jobs shortly after they’re posted will give you a better chance of getting your application in front of the hiring manager before their inbox is flooded with resumes. Whatever role you decide is the right fit for you, pursuing a second career in the telecommuting world can be a great way to earn extra money in your retirement and continue to grow your skillset while enjoying the flexibility of working from home.